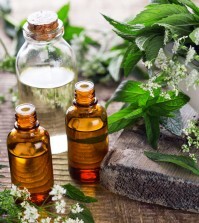 There is one essential oil that is such a potent antibacterial that it can be used as a completely natural method of stopping the spread of foodborne illnesses caused by bacteria such as E.coli. In fact, a study that was conducted at Washington State University (http://www.sciencedirect.com/science/article/pii/S0956713514003235) is going to state this in December of 2014 in the journal Food Control. Which essential oil is this powerful? 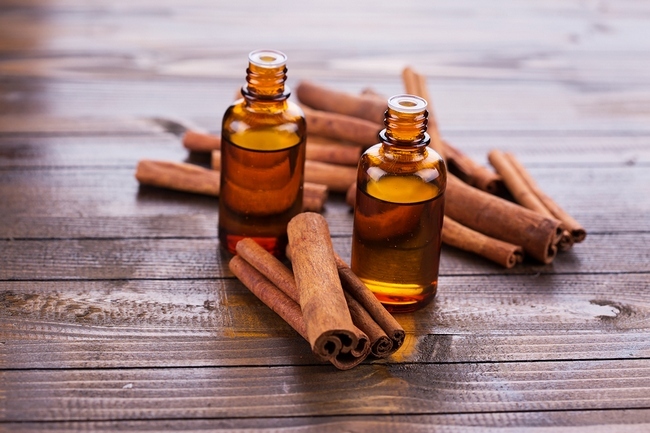 Cinnamon essential oil of the variety called Chinese cinnamon, or Cinnamomum cassia. The Ceylon variety, Cinnamomum verum, is much more common in the US and is the type which is most commonly used in baking. Read also about cinnamon benefits. This oil was tested by researchers against six of the top strains of Escherichia coli, more commonly called E.coli, bacteria or Shiga toxin-producing E.coli. This bacterium is so deadly that the US Department of Agriculture Food Safety and Inspection Service have stated that they have a zero tolerance for these six strains of E.coli in uncooked beef or uncooked beef trimmings. If any of these six strains of bacteria are found in meat, that food is considered tainted and cannot be sold. Shiga toxin producing E.coli is responsible for about 110,000 cases of foodborne illnesses every year in the US. This study will state that just 10 drops of cinnamon essential oil mixed in a liter of water was able to kill all six strains of these bacteria in 24 hours. This means that cinnamon oil could be placed into coatings or films for the packaging of meat as well as for produce. 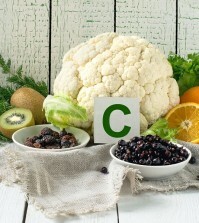 It could also be used to wash meat, fruits, and veggies to kill dangerous microorganisms. There is a growing concern in America over the health effects of food additives and chemical preservatives. This has led to a growing market for more natural alternatives. This study was so successful that the researchers at Washington State are planning on doing another study on whether dandelions can be used to stop bacteria that leads to a mammary infection in dairy cows called bacterial mastitis. The use of essential oils, rather than chemical additives, could lead to a revolution in food preservation. Just recently, there have been other researchers who have been looking into using natural food preservatives as well as antimicrobials. 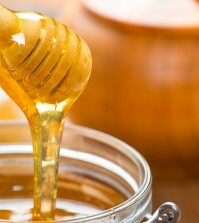 One example of this are the scientists from the National University of Technology in Argentina found that the extract from propolis could also work as a natural antibacterial. These findings from this study were published in the journal Food Chemistry in 2007. 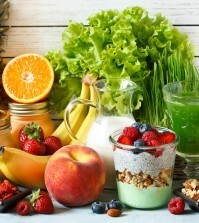 Besides stopping the spread of illnesses, food manufacturers are also concerned with the prevention of oxidation, which is the major reason why food spoils. Two of the most common food preservatives, BHA and BHT, are nothing more than synthetic antioxidants. There are many plants that make their own antioxidant compounds in order to protect the plants cells from damage or injury. We consume these same antioxidants in the foods that we eat. Many studies show that some of these antioxidants could be used to protect and preserve food. Researchers at the University of Extremadura in Spain conducted a study in 2006 and discovered that the essential oils of sage and rosemary were much more effective at stopping meat from spoiling then either BHA or BHT. Portuguese researchers published a study in 2008 in the journal Innovate Food Science and Emerging Technologies that found that grape and olive extracts, the byproducts of olive oil and the making of wine, also worked better as preservatives than the current artificially created antioxidants that we commonly use. Find out more about grape seed extract and its effect on the health. This could be the exciting new future in the way of food preservation. These scientists tried many different types of approaches for fighting food spoilage, such as mold in bread products. They tried to use ultraviolet light, sterile types of packing material, different types of chemical preservatives, but nothing worked as well as a paraffin waxed paper that contained cinnamon oil. Bread that was wrapped in this cinnamon paper inhibited the growth of mold for as long as 10 days. Still another study done at the Indian Institute of Technology Guwahati found that various traditional Indian Food, as well as medicinal herbs, was also very effective food preserving antioxidants. This study was published in 2008 in the journal Food Research International. All of these important findings might just lead to a revolution in how we preserve and clean food in the future.